Congratulations to Grace Bay Club on winning a Travel Weekly Magellan GOLD Award! CONGRATULATIONS to the Grace Bay Club for receiving a GOLD Magellan Award for the lobby & common space design. We are thrilled to be a part of this wonderful team! We are thrilled to be expanding our partnership with the Grace Bay Resorts in Turks & Caicos and excited to announce the unveiling of The Residences - luxury five bedroom privately-owned villas and managed by the Grace Bay Club. 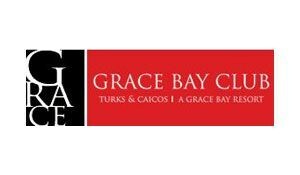 As winter settles in, we are looking forward to returning to Turks & Caicos to work on our projects wtih the Grace Bay Club! 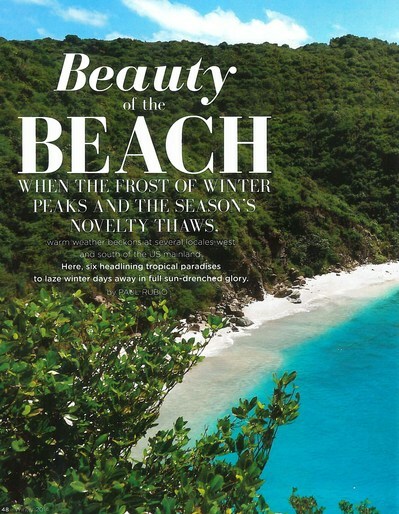 Check out more about our refresh of this iconic island retreat in the winter issue of Luxury Magazine! 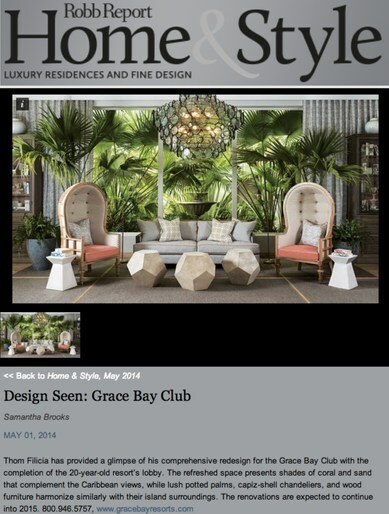 The Robb Report Home & Style features the Thom Filicia's re-design of the Grace Bay Club in Turks & Caicos! Grace Bay Club 20th Birthday Re-Design! 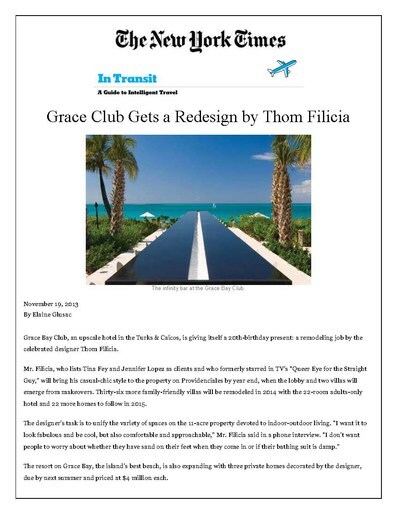 I'm excited to be involved with the redesign of the iconic Grace Bay Club on the beautiful beaches in Turks & Caicos! What a better way to celebrate it's 20th birthday. We are excited to announce our new partnership with the Grace Bay Club in Turks & Caicos!